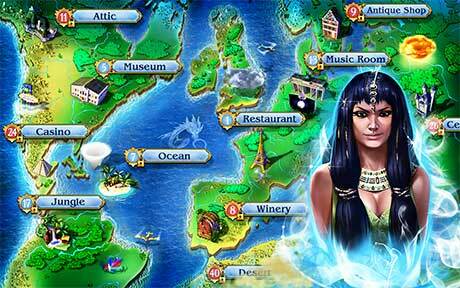 Following the storyline you will travel across the globe and explore various hidden object locations. 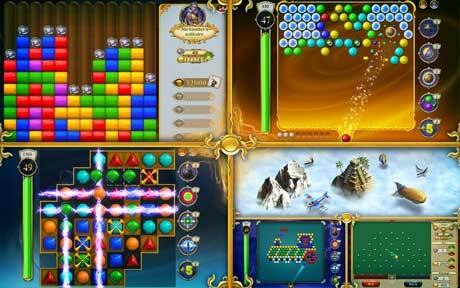 Thus you raise your skill level and gain experience to unlock more spots on the interactive map. Various anomalies and natural disasters diversify the gameplay of adventure, so sometimes you will have to complete the hidden object scenes in pitch darkness, or face the item list with mixed letters. Don’t give way to despair – all kinds of power-ups will let you cope with any trouble your encounter! 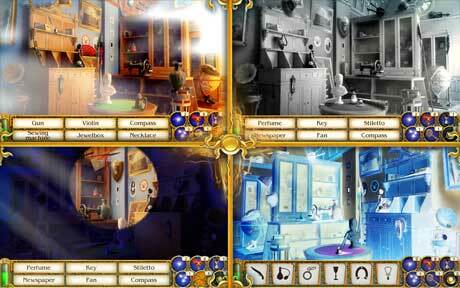 Scouring hidden object locations you will also come across numerous collectibles and special items. These are needed to comply with the requests of the wraiths who will guide you through this exciting adventure game. Your diary will keep track of all the given tasks, because there may be a few of them at a time. Check it regularly, and learn interesting facts about your haunted companions and key information on the game story to finally return the Earth to the humanity.